On 31 July the School is remembering Andrew John Herbertson who died on this day 100 years ago. Herbertson joined the newly founded Oxford School of Geography in 1899 as Assistant to the Reader, Halford Mackinder, and played a crucial role in the establishment and flourishing of the young department. While Mackinder developed wider projects and interests, Herbertson managed the day-to-day running of the School with great energy and conscientiousness while delivering the lion's share of teaching - which was his real passion. Apparently, the students did not rate him highly as a lecturer - Mackinder was a much more charismatic and captivating speaker - but he was known as a patient and knowledgeable tutor with a wide range of teaching methods and great enthusiasm for practical field work. "In geography, as in other subjects, we want to change from the teaching by words to the teaching by the things the words are supposed to describe. Geographical teaching, to be worth anything, must be real and practical. It is not enough to appeal to the ear alone. The eye must be trained as well, first of all by seeing the actual land surface from which the first lessons in geography must be taken." Herbertson's grave in Holywell Cemetery photographed in 2015. 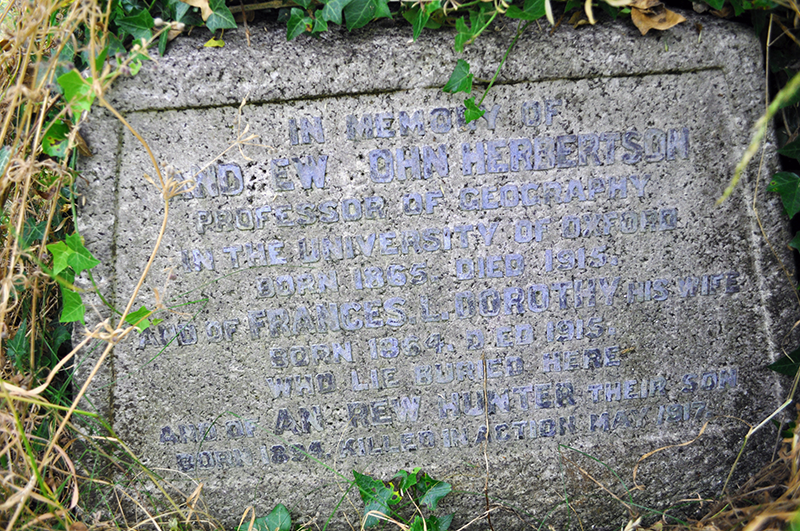 The inscription reads: In memory of Andrew John Herbertson, Professor of Geography in the University of Oxford, born 1865. Died 1915. And Frances. L. Dorothy, his wife, born 1864. Died 1915, who lie buried here, and of Andrew Hunter, their son, born 1894, killed in action May 1917. These qualities also made him a great populariser of geography as a subject - at Oxford and beyond. Through biannual summer schools he organised to introduce teachers to field work methods and the large number of school textbooks he wrote (many of them with his wife Fanny), he had a high impact on the quality of school geography in the early 20thcentury. For 15 years he served as Honorary Secretary of the Geographical Association and edited its magazine, The Geographical Teacher. In 1905 he took over from Halford Mackinder as Reader in Geography and in 1910 he became Oxford's first Professor of Geography (ad hominem) - 22 years before the Chair in Geography was established in 1932. Sadly, the heavy work-load and an ongoing heart condition took their toll on him and his family: On 31st July 1931 Herbertson died at his home near Chinnor, just short of this 50th birthday. His wife died two weeks later. They lie buried together in Holywell Cemetery, not far from the School of Geography. 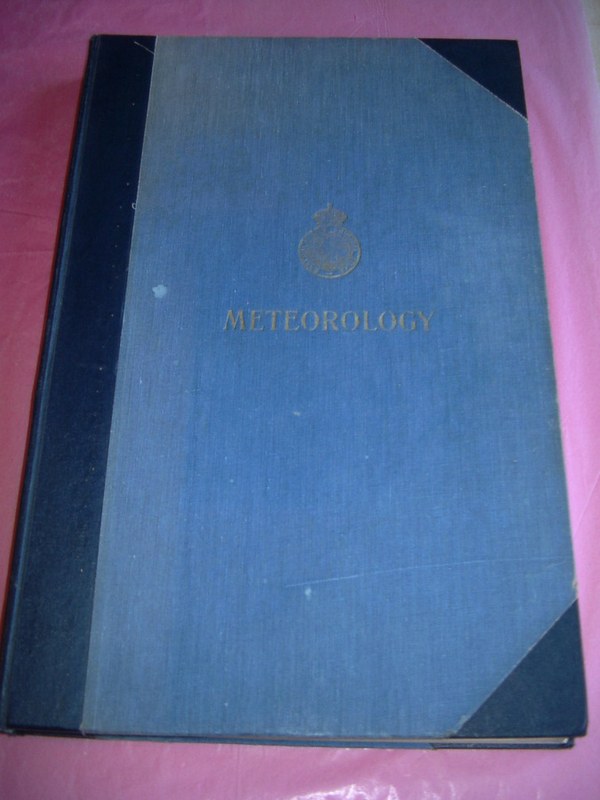 Atlas of Meteorology: a series of over four hundred maps by J.G. Bartholomew, A.J. Herbertson and A. Buchan (1899). Herbertson undertook meteorological research in 1892-93 at the Ben Nevis and Fort William observatories. This research, with further work at Paris and Montpellier, bore fruit in the publication with Alexander Buchan of the important Atlas of Meteorology (1899). In 1889, he completed his PhD dissertation in Freiburg/Breisgau on world rainfall patterns. It was published by the Royal Geographical Society (RGS) in 1901. In his early academic career, Herbertson had lecturer roles in political and commercial geography at the University of Manchester (1894-96) and in industrial and commercial geography at Heriot-Watt College, Edinburgh (1896-99). One of the central themes in Herbertson's work was the promotion of an imperial concept of regional development - in his mind, not so much one underlain by militaristic forces, but instead by nationalistic ones in which national states developed by seeking individual identities. "Herbertson had intended his regions to be natural as opposed to artificial and hoped that their use would help students, particularly school pupils, make sense of the world, not just learn facts about it, and draw together the physical and human sides of geography" (Baigent, 2011). He joined the newly founded Oxford School of Geography as 'Lecturer in Regional Geography' (1899-1905). 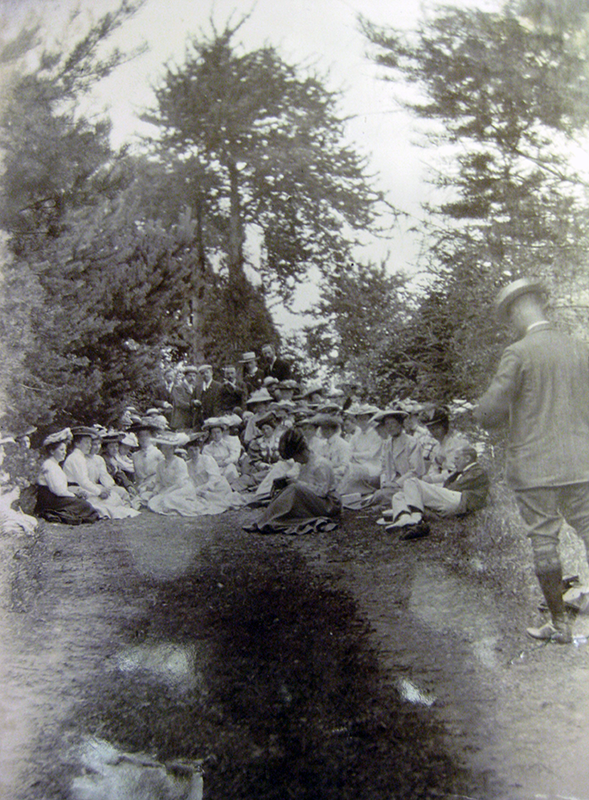 Herbertson and Mackinder initiated biennial summer schools at Oxford at which distinguished university teachers from Britain and abroad taught schoolteachers in the class and in the field. More than 850 teachers attended the five Vacation Courses organised by Herbertson between 1902 and 1914 and the influence he thus exerted on British school geography was immense. Herbertson and his wife were prolific authors of school textbooks: more than 1.4 million copies of their textbooks were used in the specialist secondary school teaching required under the 1902 Education Act. He produced a new series of wall maps (published 1914-15). Between 1900 until his untimely death he acted as secretary of the Geographical Association (the professional society for geography teachers) and was founding editor of its journal, Geographical Teacher, from 1901 to 1915. Herbertson used both roles to argue for more and better geographical education in schools, particularly through field classes and practical work. Herbertson was born on 11 October in Galashiels, Selkirkshire. He married Frances Louisa Dorothy (Fanny) in 1893 and had two children: Andrew (1894-1917, killed in action), and Margaret (1899-1993), who became a general practitioner in Liverpool. 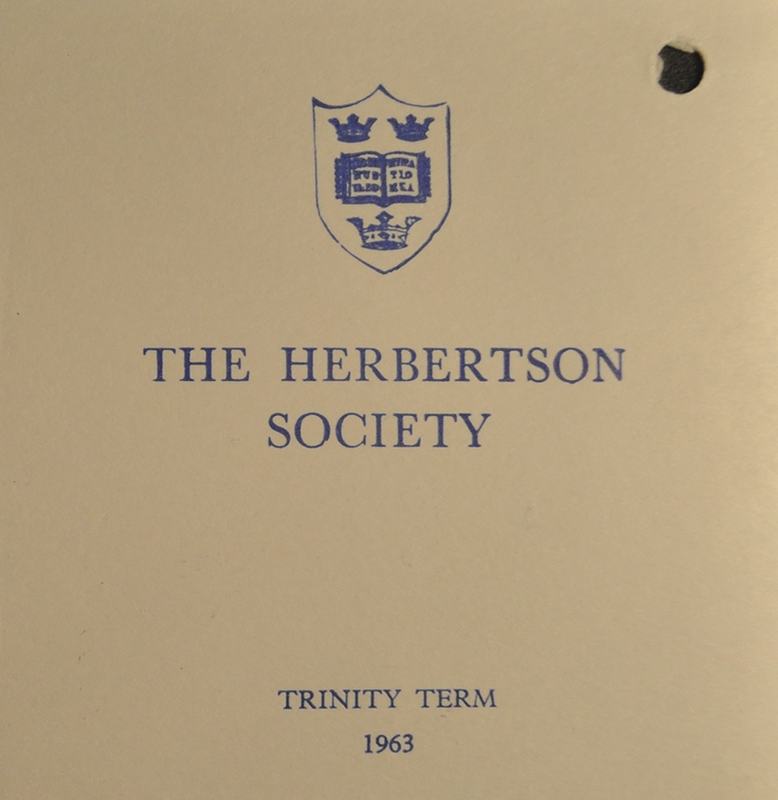 The Herbertsons were a good team: "Herbertson … the small active man, the eager encouraging teacher, restless, continually at work, never learning to play or rest; and Mrs Herbertson, busy, energetic… a driving force at the summer schools, always everywhere, keeping everyone up to scratch" (Rudmose Brown, 1948). They were tied together so closely in their lives and work, that when Herbertson died at his country home near Chinnor, just short of his 50th birthday, his wife followed him just a fortnight later. 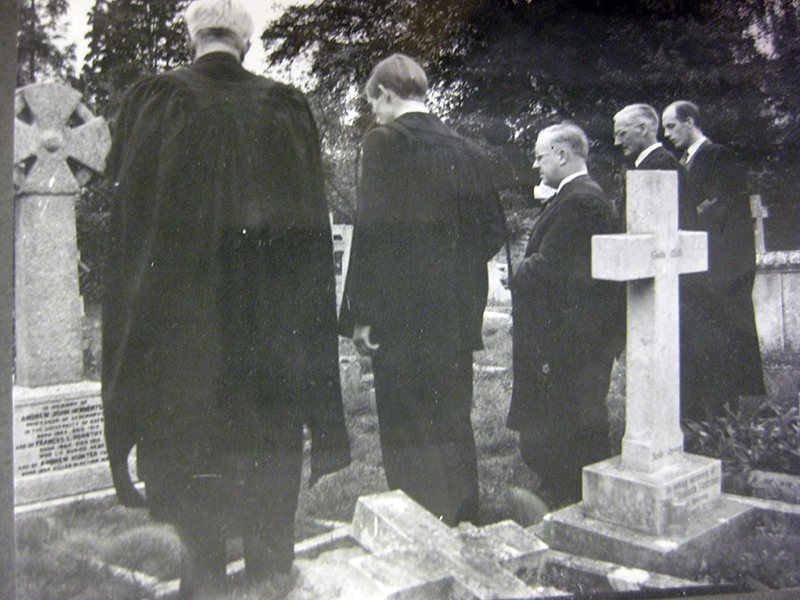 The centenary of the birth of Dr Andrew John Herbertson, the first geographer to bear the title of Professor of Geography in the University of Oxford, was marked by a simple ceremony at his grave in St. Cross churchyard on Monday, when a wreath of bay leaves was laid on the recently-restored grave by Mr S. Cropper, president of the Herbertson Society, and a brief oration was made by Mr E.W. Gilbert, the present Professor of Geography and president of the local branch of the Geographical Association. When an undergraduate reading geography, Prof. Gilbert was mainly instrumental in the founding of the Herbertson Society. Also present at the ceremony were Prof. I. Ll. Foster, chairman of the Board of the Faculty for Geography, Dr D.I. Scargill, Life Members' Secretary of the Herbertson Society, and Mr R.C. Maasz, Herbertson's library assistant in 1915 and present assistant Librarian, Taylor Institution. Geography owes much to the enthusiastic work of Prof. Herbertson. The school was established in 1899 and occupied the upper floor of the Old Ashmolean Building, now the Museum of the History of Science. 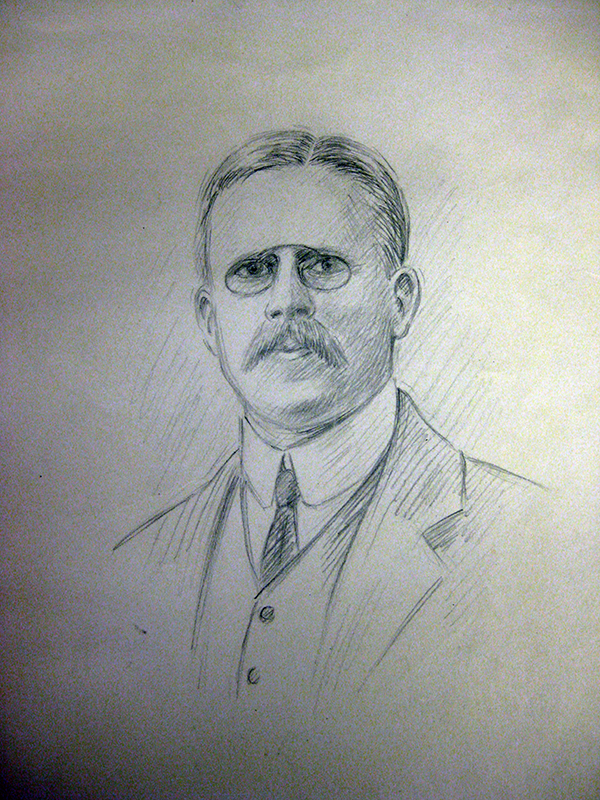 Dr Herbertson succeeded H. J. Mackinder as Reader in Geography in 1905 and in 1910 his zealous work was recognised by the University by the grant of the personal title of Professor of Geography although the chair was not established until 1932. The school later occupied Acland House, 39-41 Broad Street, the former residence of Sir Henry Acland, Regius Professor of Medicine, 1858-1904. When these premises were demolished to make way for the New Bodleian Building, the school moved to its present site in Mansfield Road. for the best Human Geography dissertation - still given annually as part of the Final Honour School of Geography. 1927-1994 - Herbertson Memorial Lecture. 1975 - The Herbo Newsletter PDF: 451.7 KB Read the first issue from May 1975. 2012 - Naming of the Herbertson Room in the new building on South Parks Road. 2013 - Naming of the Herbertson Lunch for Geography Alumni at Oxford's annual Alumni Weekend. Cossar, J. (1915) Obituary: Professor A. J. Herbertson. Scottish Geographical Magazine, 31(9): 486-490. Gilbert, E.W. (1965) Andrew John Herbertson 1865-1915. An Appreciation of His Life and Work. Geography, 50(4): 313-331. Scargill, D.I. (1976) The RGS and the Foundations of Geography at Oxford. The Geographical Journal, 142(3): 438-461.